Unfortunately, muscles pull on bones (that’s all they can do) and as many pull on your spine (directly or indirectly), this sets us up for dysfunction that is a serious matter. 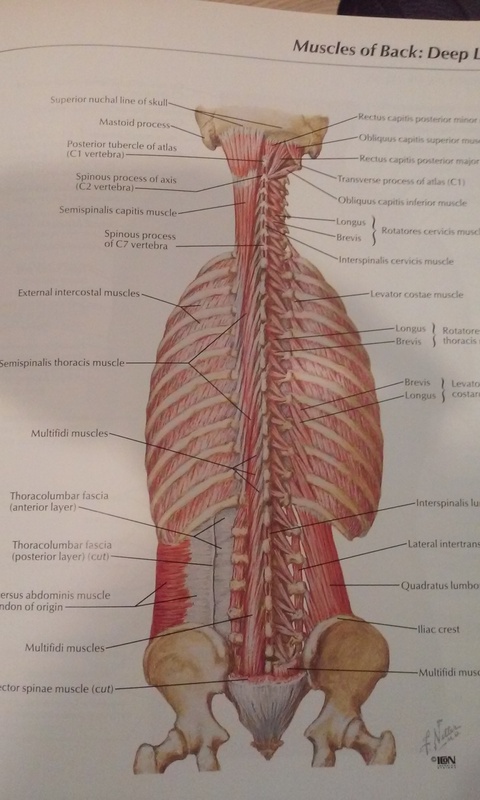 You see, the spine houses your spinal cord, which is the super-highway of information on how to RUN your BODY that goes from your BRAIN to your BODY and back again. When this structure is subjected to just stress, not to mention abnormal pressure, or torsion, it suffers. Look around you, and see how few things you can really twist or bend out of shape and NOT have this twisting or bending affect that object’s function. How about a screw? Can we bend it and still have it work ideally? Or your phone? Yo ur immediate survival is SO important to your body that sometimes, it even puts your long-term health at risk. Although your discomfort may seemingly “go away” in a few days, often, that loss of discomfort is your brain simply adapting to the dysfunction in your spine and not telling you about it anymore so as to let you focus on day to day stuff. After all, you didn’t pay attention to it the first time – why should it keep letting you know about your problem? GET SOME CHIROPRACTIC, and take care of your spine – it houses your spinal CORD – an extension of your BRAIN and NERVE SYSTEM and the channel of your LIFE! How can I heal ideally?